Social Media Mom helping brands promote! Meet the Eighty MPH Mom Team! Fagor Duo 9 Piece Pressure Canning Set – Easily Preserve & Serve Healthy Foods! Airwick Scented Oils exclusively at Sam’s Club! Kohl’s Bobby Flay Acacia Wood Serving Dishes for outdoor entertaining! Stop just cleaning – Start Healthing with LYSOL! Tomboy Tools Traveler Review – Pink Tools for women! If you love shopping on Amazon, I would be thrilled if you would shop through my affiliate link. Every bit helps to keep Eighty MPH Mom up and running. Thank you! Click HERE to get $50 off of your order! Earn cash back when you shop - it's super easy! Blog author and Social Media Mom, Jennifer, is the owner and editor-in-chief of Eighty MPH Mom, and lives in the Pacific Northwest with her husband and three kitties. She has two children - 20 and 26.We have a total of seven team members located across the U.S., and between us all, we have kids aging from preschool years to 26 years! The Eighty MPH Mom Team would love to work with you! Click photo above to learn more. *Ranked #28 on Cision's 2014 Top 50 U.S. 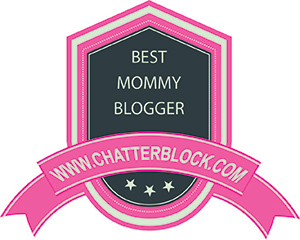 Mom bloggers! *Daily Journal for your Children - must do! *Even MORE Autocorrect Oopsies of Mine! *Dear Spiders - Stay Out of My House! *Jennifer (Eighty MPH Mom) is a participant in the Amazon Services LLC Associates Program, an affiliate advertising program designed to provide a means for sites to earn advertising fees by advertising and linking to Amazon.com and affiliate sites.